On Monday, August 14th, a special Requiem Mass was held for Metropolitan Opera soprano Licia Albanese who passed away at the age of 105 on this date three years ago. She was born in Bari, Italy on July 22nd 1909 and later became a solid patriotic U.S. citizen. On August 14th, the third anniversary of her passing, a special requiem mass and luncheon hosted by devoted friends and admirers Cesare Santeramo and Dr. Robert J. Campbell was held. Mme. Albanese was remembered and lauded for her great artistry and the warmth of her friendship. The Rev. 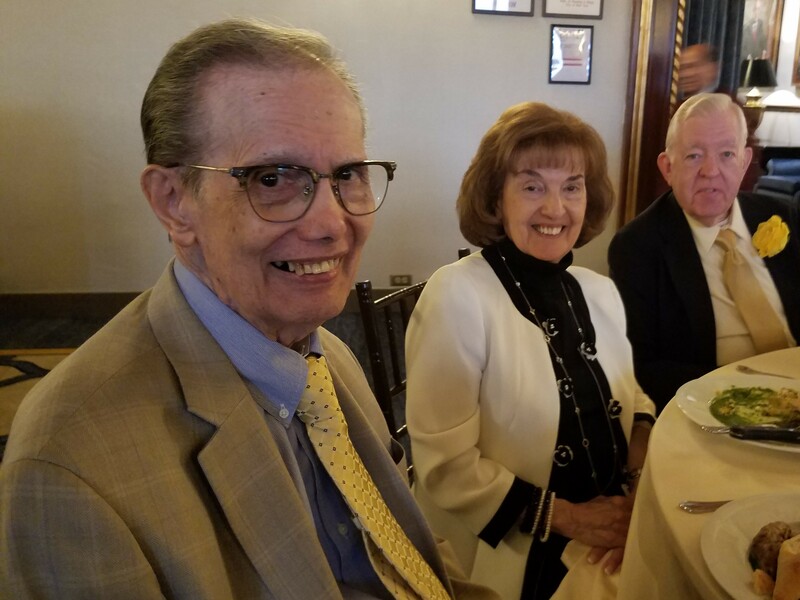 John Kamas spoke eloquently of Licia Albanese at the Mass which was held at St. Jean Baptiste Roman Catholic Church on East 76th Street and Lexington Avenue in New York City. Kosovo tenor Riad Ymeri sang “Panis Angelicus” in a sweet, clear and moving way. Baritone Mark Watson sang a thrilling “I’ll Walk with God” (Brodsky) from the film The Student Prince made famous by tenor Mario Lanza. (Lanza appeared with Licia Albanese in the film Serenade.) The organist led the singers and all to give inspired performances. The priests were all moved by this special tribute to a great singer and devout parishioner. There are many citizens from Bari in Carroll Gardens Brooklyn affiliated with Sacred Hearts-St. Stephens Church and the Van Westerhout Cittadini Molesi Cultural Sport and Social Club. Niccolò Van Westerhout was a 19th century composer born in Bari but whose family was Flemish. Licia Albanese was well known and loved by “Barese” everywhere. The delicious luncheon at nearby Orsay restaurant included patrons and friends of Licia Albanese: Holocaust author and pacifist Luna Kaufmann, Sachi Liebergesell, President of the Licia Albanese-Puccini Foundation, Father(Pastor) John Kamas from St. Jean Baptiste Church, tenor Cavaliere Cesare Santeramo, Dr. Robert J. Campbell, Joy Ferro vocal teacher, former Metropolitan Opera great and lead dramatic soprano Elinor Ross, legendary Met Opera mezzo Rosalind Elias and opera coach Corradina and Maurice Caporello. It was an afternoon of brilliant conversation and warm remembrance. We all had incomparable memories of Licia Albanese both as an artist (lead soprano at the Metropolitan Opera from 1940-1966) and a devoted and loving friend. I recalled my appearance with her on television in a tribute to tenor Mario Lanza on the Joe Franklin TV show and her frequent visits to the Enrico Caruso Museum in Brooklyn where Commendatore Aldo Mancusi named his mini theatre after her and publisher Michael Sisca. Judy and I remember her playing a vigorous game of bocce at her beloved patron and friend Louise Peluso’s home and gardens in Bayville, Long Island. We thank our much honored hosts Cavaliere Cesare Santeramo and Dr. Robert J. Campbell for their making this event so special. Cavaliere Santeramo who sang Alfredo to Licia Albanese’s Violetta in La Traviata for the New Jersey Opera, suggested a future Verdi requiem as a “fund raiser” for Father Kamas’s beautiful St. Jean Baptiste Church where Licia Albanese worshiped and had her funeral mass. The following day was the great feast of Ferragosto. Licia Albanese passed away on the cusp of the Virgin Mary’s ascension into heaven. I am certain Licia had an EZ pass and is now with the celestial voices. 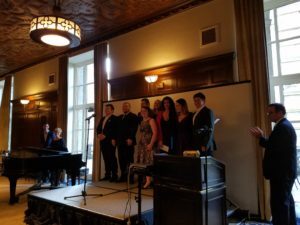 On the afternoon of Sunday, September 24th, The Giulio Gari Foundation presented in concert the 2017 winners of the International Vocal Competition at the elegant New York Athletic Club on Central Park South. After greetings from Stephen De Maio, Artistic Advisor and Chairman of the Board Gloria Gari, the program began. Our host of the evening was the brilliant much missed Brian Kellow who was greeted with cheers by his many admirers. Many “stars” of the operatic heavens were present. 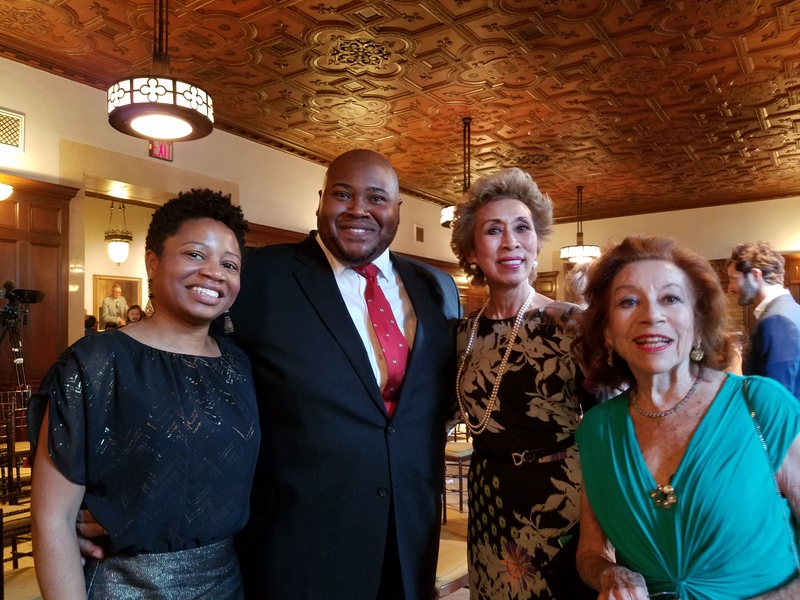 Former Metropolitan Opera legends dramatic soprano Elinor Ross and mezzo soprano Rosalind Elias, New York City Opera and NBC Opera star Elaine Malbin are always there to show support for the new generation on the ascendancy. I also chatted with charming guest Maria Natale whose radiant soprano and stunning appearance won plaudits in Portland, Maine as Violetta in La Traviata. The concert began with “Nemico della patria” from Giordano’s Andrea Chénier sung by baritone Jaeman Yoon. Yoon did not just croon a tune but gave a robust erupting volcano concept of this dynamic showpiece. A little more shading and contrast would have given it the Italianate flavor it lacked.The voice itself is healthy and the strong potential is there. A touch of salt, pepper and oregano will make it the savory mix it soon will be. Patrons Mr. and Mrs. Frank De Rosa presented the award. A lighter Bizet was served with the duet “Au fond du temple saint” from The Pearl Fishers. Marco Cammarota, tenor and Kidon Choi, baritone were a strong blend in this pledge of friendship duet. Mr. Cammarota belted the top notes in a heroic manner and Mr. Choi sang strongly and this iconic duet went from the lyrical commonplace into the rare with the exciting tenorial trumpet and a visceral victory for true bonhomie. The award was presented by Dr. Barry Schenk and the fashionable Joyce Greenberg. Soprano Nicolette Mavroleon sang “Depuis le jour” from Charpentier’s Louise. This aria is a glittering showpiece and from the legendary sopranos Mary Garden, Grace Moore and countless others and is a test of vocal endurance. Ms. Mavroleon sang some stunning stratospheric highs and gave a virtually flawless performance of this captivating aria. The composer Charpentier wrote a sequel to Louise called Julien. Immortal tenor Enrico Caruso courted his American wife Dorothy in his Julien costume. (1918) We look forward to hearing Ms. Mavroleon soon. She is of Greek descent like Maria Callas and generates a special magic! Her award was given by the Max Kade Foundation, Dr. Lya Friedrich Pfeifer, President. 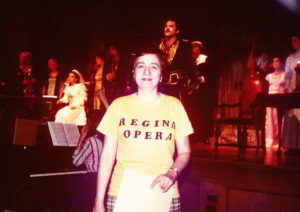 “Non più mesta” from Rossini’s Cenerentola was sung by rising mezzo soprano Corrie Stallings. Ms. Stallings possesses a bright silvery voice with expressive and expansive plenitude of sound, dexterity and flexibility so necessary in producing coloratura flow and ease and gave an exciting and generous performance. Only a few feet from the stage was honored guest, famed iconic mezzo Joyce DiDonato who smiled at Ms. Stallings and whose eyes sparkled with loving encouragement and support. To me, this was a defining moment and a wonderful one! 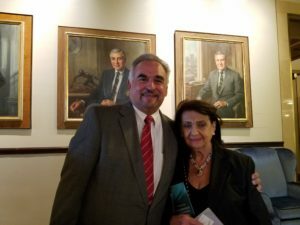 The award was presented by the Florence Belsky Charitable Fund, Dan Schneider Esq. Back to Bizet with “Je crois entendre encore” from The Pearl Fishers sung by tenor Fanyong Du. A very early Caruso recording of this haunting aria (Circa 1904) was heard on the sound track of Woody Allen’s film Matchpoint. It has been a favorite of lyric tenors and Beniamino Gigli’s magical recording also stands out. Fanyong Du has all he ingredients to do this exotic and delicate aria justice. His tapering of the aria, his lingering on a finely spun phrase earned him the applause of the gods above and the audience below. The award was given by The Lissner Charitable Fund by the ever impeccable Karl Michaelis. The concert ended with Maria Brea singing “Chi il bel Sogno” from the bittersweet operetta La Rondine by Giacomo Puccini. Ms. Brea possesses a strong caressing coloratura soprano that soars heavenward like a flock of white doves. Her nicely placed top voice sings with sparkling ease, fresh and youthful making us all feel the inner yearning for true love. Ms. Brea’s award was presented by the Max Kade Foundation, Dr. Lya Friedrich Pfeifer, President. 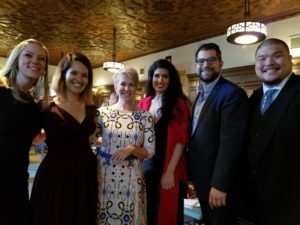 The guests of honor included special awards for mezzo soprano Joyce DiDonato, soprano Angela Meade who had another engagement and was not there and rapidly rising dramatic tenor Issachah Savage. The indefatigable Brian Kellow introduced the special guests all of whom spoke with gratitude for such organizations and how many young singers got their start because of such help and support. Mr. Savage was accompanied by his petite and enchanting wife Shana. It was nice to see him singing along softly from the audience savoring every word. Famed and in demand opera lecturer Lou Barrella did a presentation in praise of tenor Giulio Gari including Gari’s glorious singing of “Amor ti Vieta” from Fedora and his singing of “The Lord’s Prayer.” There was also a video of praise by soprano Lucia Evangelista and other luminaries of tenor Giulio Gari (1909-1994) who sang at New York City Opera (1945-53) and the Metropolitan Opera (1953-61) and was also a much respected vocal teacher. 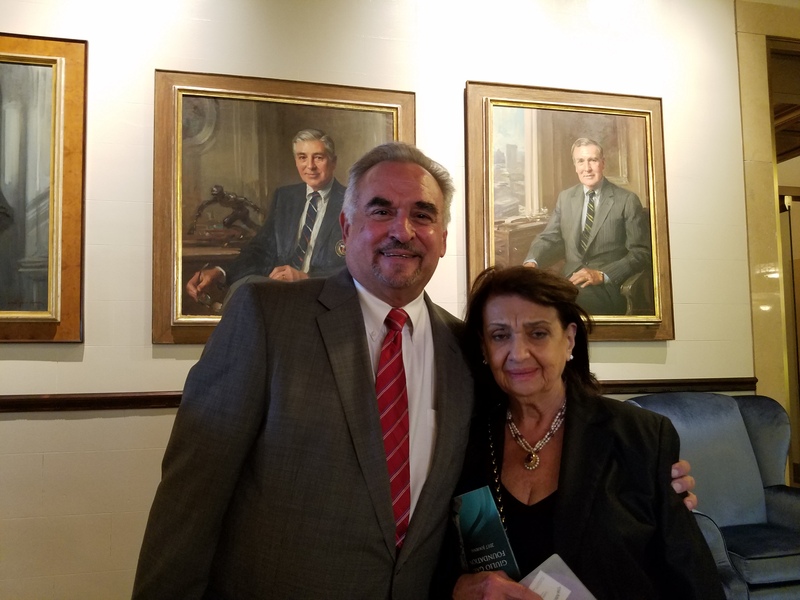 His wife, the much loved Gloria Gari carries his torch proudly with the organization that bears his honored name along with their daughter Gayle Gari Cohen and her husband Paul E. Cohen and the Board of Directors. Their son, the late deeply loved Glen Gary is always present in gallant spirit. 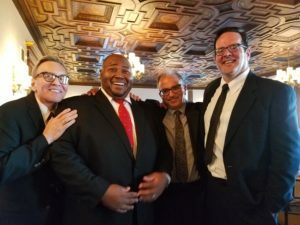 The reception and dinner afterwards afforded us the opportunity to “meet and greet” so many friends and fellow music lovers. From Opera Index, MetOpera mezzo Jane Shaulis and Joe Gasperec, Murray Rosenthal, Philip Hagemann, and Janet Stovin; opera coach and writer Scott Barnes, Sachi Liebergesell from the Liebergesell Foundation, opera manager Ken Benson, conductor Jan Wnek and tenor Keith Johnson. 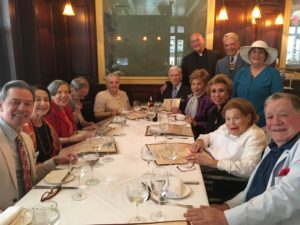 At our table were Michael Fornabaio from The Gerda Lissner Foundation, Maestro Eve Queler from the Opera Orchestra of New York, Robert Lombardo esteemed vocal coach, and banker financiers Joseph Sedillo and John Lawrence. We saw the ever vibrant civic leader and patron Betty Cooper Wallerstein, effervescent basso Gary Kendall, Bill Ronayne from The Mario Lanza Society located in Brooklyn and poet, Cav. Edward Jackson, Ph.D was his ebullient self. Stephen De Maio stopped by to greet our table and said that he was very surprised about three sections of praise he received in the wonderful program booklet. Mr. De Maio deserves every bit of praise for his extraordinary efforts on behalf of young singers as President of the Gerda Lissner Foundation and his work on so many others. It was nice to see Steve’s charming sister Marie De Maio, an iconic New Jersey educator for over 50 years, energetic secretary and facto tum Cornelia Beigel of the Gerda Lissner Foundation, joyful soprano Barbara Ann Testa and magnetic legendary soprano Diana Soviero, whose sublime Suor Angelica at the Met Opera still surges in my minds eye and heart. At the end of the presentation, Board member Donald Levine gave an impassioned plea for all to work together to strengthen opportunities for young singers in the opera world. This was truly “an affair to remember.” Thank you Gloria Gari for your indestructible spirit! Judy and I are always proud to be your representatives from Brooklyn. The love you give comes back many fold. Bravo to The Giulio Gari Foundation.